AMD’s marketing slide comparing the Ryzen CPUs to their competition. Since March 2017, AMD’s new Ryzen CPUs have been very successfully entering the mainstream CPU market. With the recent release of their Threadripper line, AMD has also entered the HEDT (high-end desktop) segment, and was very successful in offering Intel meaningful competition (see Threadripper 1950X vs Core i9-7900X). However, many have questioned the need for the latest Threadripper processor, the 8-core 16-thread 1900X, on the high-end X399 platform. After all, a cheaper CPU with the same core count, the Ryzen 7 1800X already exists on the much cheaper AM4 platform. 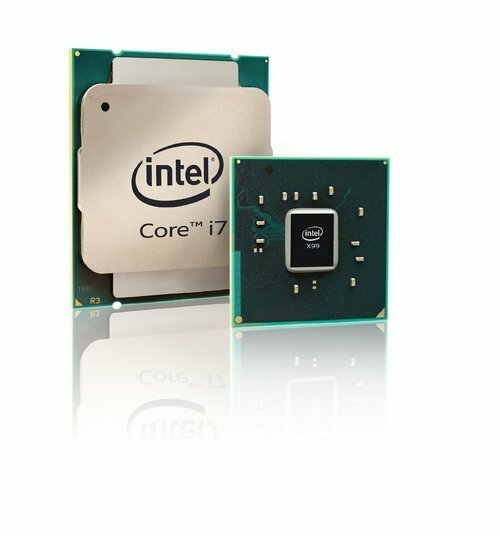 Coming in at $550, its direct competition would be the 8-core 16-thread Intel Core i7-7820X, priced at $600. How do these processors compare? Intel’s latest enthusiast platform, the Haswell-E CPU family, has just been launched. There are three CPUs available: two 6-cores and one 8-core. We will not be getting into the details, as you can read more about Haswell-E over at Anand’s or Tom’s. One thing that you do need to note is that you will need to buy an X99 motherboard and DDR4 ram if you want to use the Haswell-E platform.